These days, environmentally friendly packing materials are easy to obtain. They have rapidly become an eco-friendly way of going about packing. They are affordable and, there are numerous recyclable packing materials to choose from as well. If you’d like to pack your personal belongings using eco-friendly materials-you’ll have no trouble finding the right ones for you! Packing materials that are environmentally friendly will ensure that you’ll be able to pack without having a negative effect on the environment. Renewable packing materials can be used in exactly the same way that non-recyclable materials can be used. There is no difference in how these packing materials can be used. The misconception that eco-friendly packing materials are not as useful as other ones can be easily dismissed. When you opt to use eco-friendly packing materials, you’ll be able to pack all of your personal belongings quickly, easily and, you can use some of these packing materials more than once. Eco-Friendly Packing Materials There are lots of recyclable packing materials. The most popular ones include recyclable bubble wrap. This packing material is made from recyclable products and, it looks like non-recyclable bubble wrap as well. This type of bubble wrap can be discarded without causing any ham to the environment. Recyclable cardboard boxes are very popular as well. You’ll be able to use this packing material more than once as well. 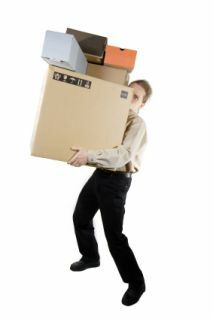 These boxes are cost-effective and, they can be used as storage boxes and, removal boxes. Recyclable cardboard boxes are very durable and, they are very handy to use during the packing process. Other Eco-Friendly Packing Materials Eco-friendly string is biodegradable and, it is made from recyclable fibres. This type of string is great for securing removal boxes and, it can be used with bubble wrap-when you are wrapping items in bubble wrap you can tie this string around it. Environmentally friendly adhesives are made using eco-friendly materials. They are ideal for sealing removal boxes and, holding bubble wrap in place. This item is recyclable as well. Eco-friendly packing/shipping peanuts are also a great packing material alternative. This eco-friendly friendly item can be used to fill removal boxes. It will protect any item you place in them during the removal process. Eco-friendly paper sheets are another excellent environmentally friendly packing material. These sheets are made from renewable materials and, they can be useful for wrapping items. These sheets can also be used to help protect clothing from dust and dirt during the moving process by laying a sheet of this paper in-between clothing items when they are placed into a removal box. Why you should use Eco-Friendly Packing MaterialsEnvironmentally friendly packing materials can be re-used, so, after you have completed your move-you can still use items like removal boxes and, string. These packing materials are made from renewable materials, so, they are biodegradable and, they will not harm the environment when thrown away. It’s easy to understand why lots of people opt to use these types of packing materials-they want to ensure that their move will be eco-friendly in every way possible. There are numerous eco-friendly packing materials available now than ever before-it is easier to purchase these products as well. Packing your belongings using eco-friendly materials is the best way to make sure that your packing process can be done without having a negative impact on the environment. These days, it is much easier to purchase products that are environmentally safe and, you’ll be able to buy eco-friendly packing materials for your move that you can re-use any time! Using standard packing materials that are not recyclable and, made from renewable material can contribute towards pollution when they are thrown away. Eco-friendly packing materials will guarantee that you won’t harm the environment when you move!